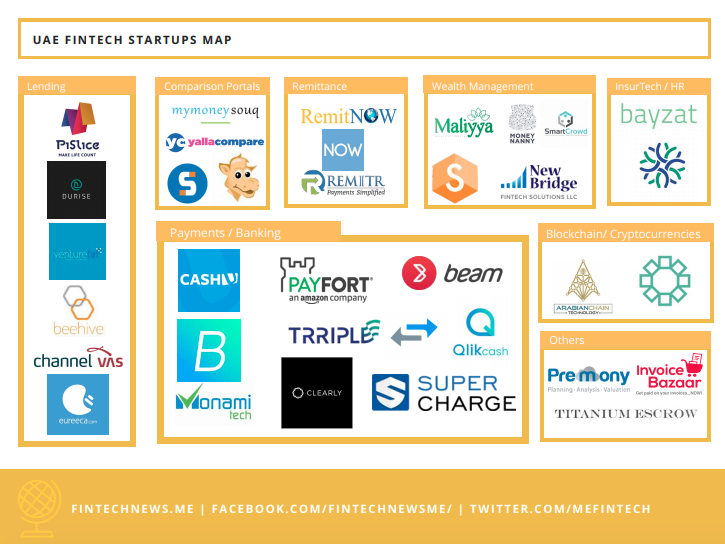 In the Middle East, fintech sandboxes and government driven initiatives have supported the growing base of fintech startups, which more doubled in size between 2013 and 2015, rising from only 46 fintech startups based in the Middle East and North Africa (MENA) to 105 startups, according to the State of Fintech in MENA report. In MENA, the UAE, Lebanon, Jordan and Egypt have arguably the most advanced fintech sectors, hosting to them four 75% of the region’s fintech startups. The UAE is the most dynamic hub, accounting for half of all of MENA’s fintech startups. 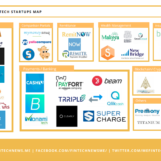 Some of the region’s most notable startups include Democrance, an insurtech startup from the UAE which counts amongst its partners ADA of the United Nations, MadfooatCom, a bill payment and payments services company from Jordan, Ajar Online, a fintech startup from Kuwait offering quick only rent collection, and Iyzico, the “Stripe of Turkey” which specializes in mobile and web payments services. Despite the rapid growth of fintech in the Middle East, the sector remains in its early stages in the region when compared with counterparts such as China or Europe. As of January 2017, the Middle East only attracted 1% of the US$50 billion raised globally by fintech startups since 2010, according to Accenture, Moreover, half of MENA’s fintech startups were founded after 2012. 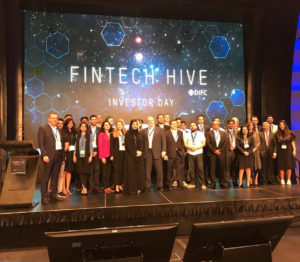 Yet, governments cross the region have committed to helping create a thriving fintech ecosystem, supporting fintech innovation with favorable regulations and initiatives such as accelerator programs Fintech Hive at DIFC launched in 2017, and Bahrain Fintech Bay, launched earlier this year by the Bahrain Economic Development Board. The Finovate Middle East event last month, organized in partnership with the UAE Ministry of Finance, brought together more than 400 banking and fintech leaders in Dubai to showcase innovation in the sector and highlight the future of fintech for the global and regional markets. 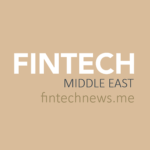 To help accelerate the development of fintech in the Middle East, countries such as the UAE and Bahrain launched regulatory sandboxes, permitting a bespoke, firm-specific licensing regime for a limited testing period. 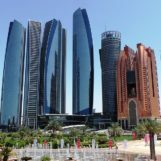 These sandboxes, which include the the Dubai International Financial Centre (DIFC), the Abu Dhabi Global Market (ADGM), and Bahrain, also allows governments to learn about new technologies and to shape regulations accordingly. Meanwhile, central banks of Egypt, Bahrain, the UAE and Jordan have adopted specific initiatives to regulate digital payments services, and Lebanon, the DIFC and Bahrain have introduced crowdfunding regulations. According to a recent study by Al Masah Capital, UAE bankers and analysts believe that digital initiatives will be the most important factor in remaining competitive in a market that’s fast embracing technology. One of the key drivers of the digital transformation has been the growing demand from consumers for digital solutions. “Customers in the UAE are fast adopting digital banking services. In many cases customers are demanding more digital solutions that brings major cost savings to banks and convenience to customers,” said Abdul Aziz Al Ghurair, CEO of Mashreq Bank and Chairman of the UAE Banks Federation. In response, UAE banks have started adopting digital solutions, ranging from separate digital-only banking platorms to strengthening of existing mobile banking services, rationalizing branch networks, and refocusing staff on value-added services rather than repetitive and less-profitable operations. Emirates NBD (ENBD), one of the leading banks in the region, is committing AED 1 billion (US$272 million) over the next three years for its digital transformation. In November 2017, the bank opened its first paperless digital branch at the Dubai World Trade Center (DWTC). 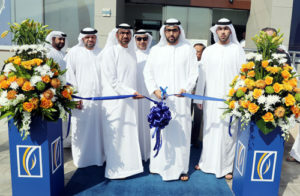 The new branch offers both self-service and assisted banking solutions. Others, such as Mashreq Bank and Commercial Bank of Dubai (CBD) too have been early adopters of digital transformation with most of their investments going towards adoption of digital and mobile technologies, launch of digital only banks and making existing digital service delivery channels more useful and customer friendly. Mashreq Bank launched its digital bank Mashreq Neo last year, while CBD’s digital bank CBD Now has been operating since 2016. Bahraini bank Bank ABC is currently working to get all necessary approvals from the Central Bank of Bahrain to launch a neo-bank in early 2019. The new bank will provide banking services via a mobile phone app and will operate independently from Bank ABC. But most notably, initiatives such as the Emirates Digital Wallet indicate that banks in the region are willing to collaborate to create innovative products. Emirates Digital Wallet was developed and implemented under the aegis of the UAE Banks Federation. It is jointly owned by 16 of the leading UAE national banks and supported by the UAE Central Bank. Emirates Digital Wallet promises to dramatically change the way customers pay for things, providing them and businesses with a simply way to receive, store and transfer money.